Make cleaning up after dinner easy and effortless with our quality range of dishwashers. Manufactured by top brands, each model is built to last and with an integrated dishwasher, you don’t have to lose any floor space. 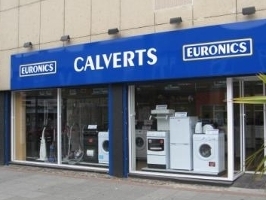 We’ve handpicked some of the latest products to ensure you’re buying a quality appliance. Give those barely used items a thorough rinse on the quick wash and ensure all utensils are left squeaky clean on high temperature, intensive cycles.